To get together with family or friends. Here's an apartment under the bright, spacious and friendly roofs that comes in 4 spaces where everything is at hand: kitchen, living room with a stove, the dining area and lounge area. A bedroom and a mezzanine complete this set harmoniously. Local shops (200m), 2 butchers, 3 bakeries, a small supermarket ... allow you to also move on foot to do your shopping. 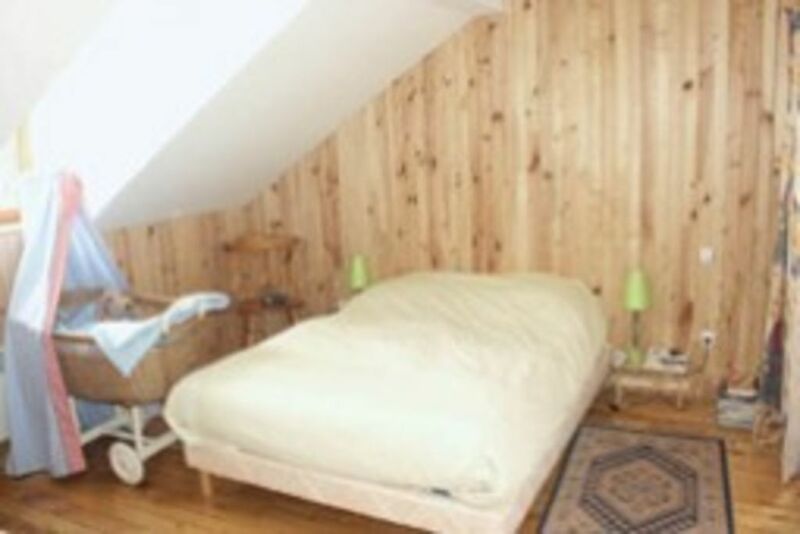 Green Lane: 200m from the apartment, you have access to the Greenway of the High Vosges. Open to all and free access, you can safely practice walking (walking, hiking, jogging, etc. ), cycling (cycling, mountain biking, VTC, etc. ), sliding (rollerblades, board and skis with wheels , scooters, etc.) and cross-country skiing. A 200m playground will allow your children to let off steam. The game space will delight your children with toys, educational games, books. Other games (chess, tarot cards, company) will make you spend cozy evenings. The GREEN WAY is 200m. These are old railway lines connecting valleys Cornimont Remiremont (23 km) and Remiremont Bussang converted into multi-track activities. Ideal for biking, walking or rollerblading. Fishing enthusiasts can indulge in their favorite sport in the river which is 20m. Les draps et le linge de maison ne sont pas fournis. Les tarifs, charges comprises, sont indiqués pour le nombre maximum de personnes. La caution (200euros) est demandée à l'arrivée après l'état des lieux d'entrée et sera restituée après l'état des lieux de sortie.